Use drawing software such as Paint.NET, or crop an existing digital photo or drawing to create a CD jewel case cover (insert) image 4.75" x 4.75" and print it from a Photo printer. 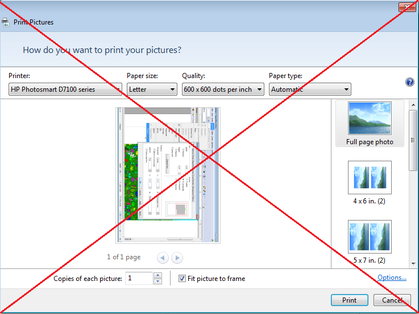 Chances are that a program such as Windows Photo Viewer will only offer a photo options menu. 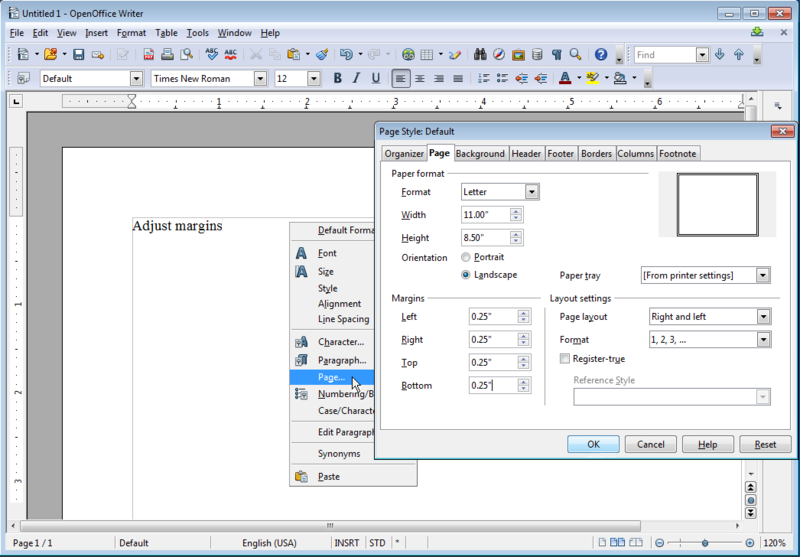 This means that your print choices are limited to the print image sizes and layouts offered in their templates. In other words, your jewel case image could be printed full-page size down a 35 image contact sheet, none the actual size of your image. In order to print an odd size digital image, you may find it necessary to embed it into a document first. 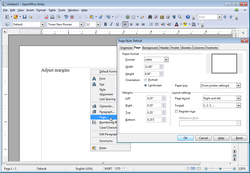 This essentially wraps the image with a text-tag and tells your print program interface to display document-oriented choices instead of photo print options. 1. 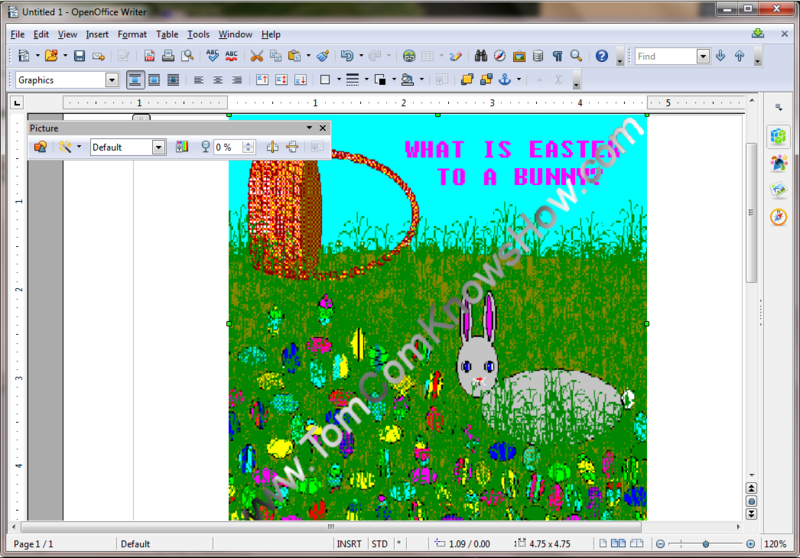 Embed your image in a new OpenOffice Writer page. 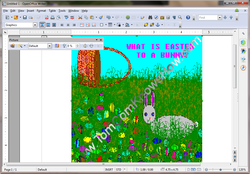 Or use Microsoft Word or another word processing program. Scroll down the toolbar from Insert to Picture then over to From File... Navigate to your image and click to open it. 2. Set how the image displays, with the page oriented either Portrait or Landscape. Align and center the image as you wish. Add more than one image, if desired. Check the Print Preview before printing, to be sure placement works. 3. Adjust the margins to make extra room for your image(s). 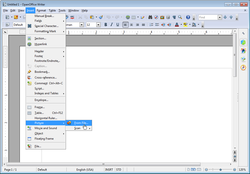 Right-click on the page and select Page..., to open the Page Style Default window. Here, you will find other adjustments available as well. 4. 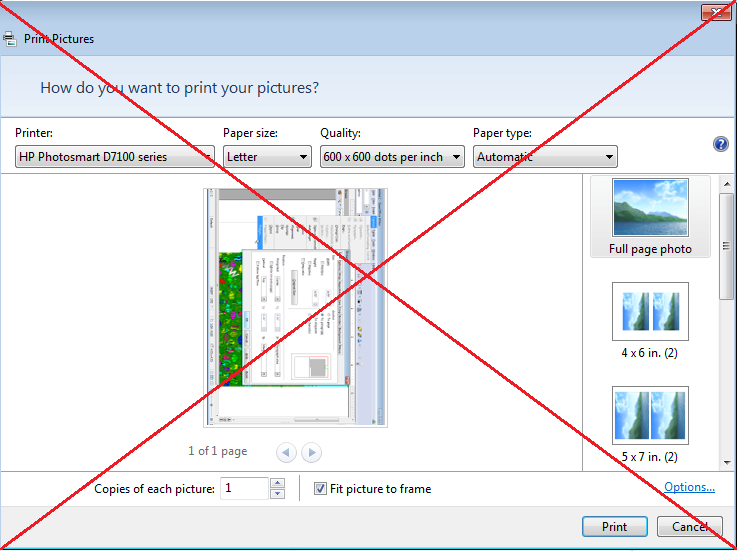 Print the document as you would any other, using quality photo paper. 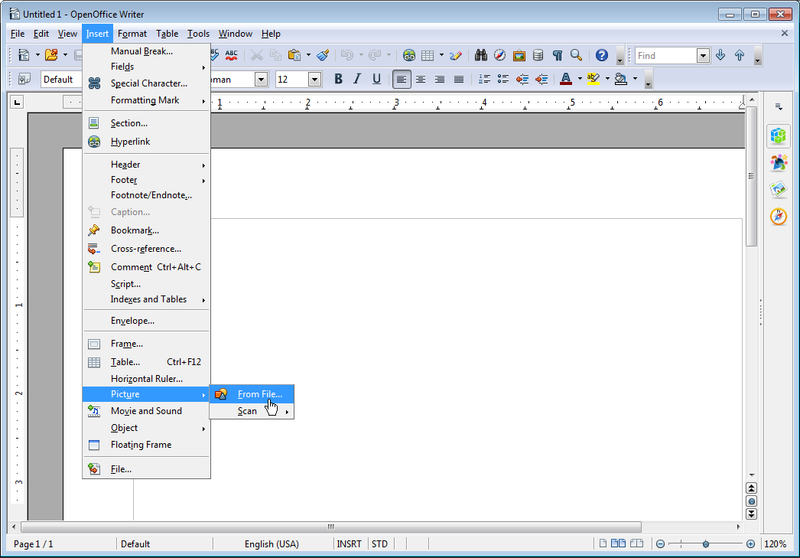 Save the document for future use or close it without saving changes. The image(s) should print actual size, ready to be trimmed, matted and framed! * If your image is longer than letter-size 8-1/2" x 11" (in Landscape), even after adjusting the margins, you need Legal-size paper. * Keyboard shortcut Ctrl+z is Undue. Ctrl+p is Print. Crtl+s is Save (as). * Apply the image to a sheet of business card stock or adhesive labels, using an applicable template. * Save only with all changes finalized.